Baker Hughes reported a two rig decline in the U.S. rig count, bringing the current total to 1,769. Oil rigs were up five to 1,430, gas rigs were down seven to 335 (the lowest in decades) and miscellaneous rigs held at four. By type, horizontal rigs were down one to 1,181, vertical rigs were down one to 391 and directional rigs were unchanged at 197. 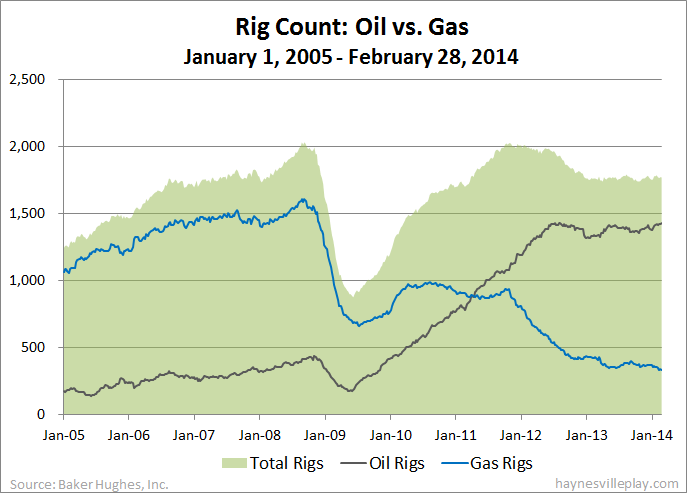 Among gas rigs, horizontal rigs were down six to 249, gas rigs were down two to 55 and vertical rigs were up one to 31.